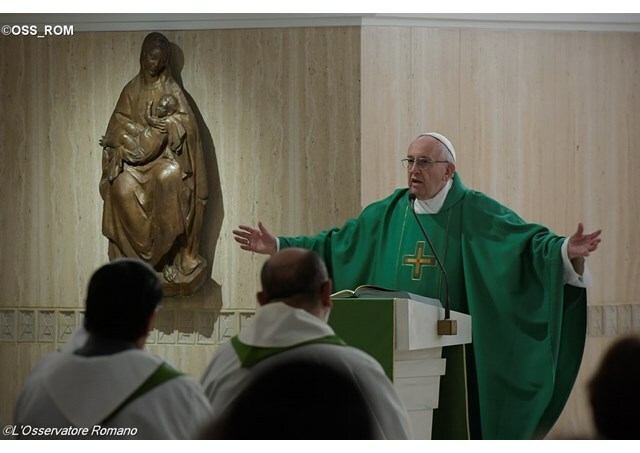 In his homily at Mass in the Casa Santa Marta on Tuesday, Pope Francis invites Christians to be salt and light in our witness to Jesus, not drawing attention to our own merits. Pope Francis at Mass on Tuesday morning said Christian witness is meant to edify others and not to serve as path to self-promotion. Christian witness, he said, can mean giving one’s life in martyrdom, after Jesus’ example. But he said, another path is to point to Christ in our everyday actions, when we wake, work, and go to bed. Pope Francis said Christian witness must be grounded in humility, which means being simple salt and light for others. “Everyday holiness”, he said, means being salt and light for others.